The 41 year-old Aleksandr Kott is a true student of international cinema culture. His first avenue of study was at the famed WGIK, Moscow’s premiere film school, under the master Vladimir Khotinenko (Makarov, 1994; Musulmanin, 1995), before completing his formal education in Krakow, Poland, where he was mentored by directing great, Andrzej Wajda (Promised Land, 1975; Man of Iron, 1981; Katyn, 2007). A Moscow native, Kott developed his keen eye for framing and the use of light as a photographer in the early 1990’s. Two of his earliest short films, The Journey (1997) and Photographer (1998), were dialogue-free studies in imagery and form and featured in Russia’s prestigious St Anna Film Festival for student and debut films. His 2002 debut feature, Two Drivers, earned him Discovery of the Year honours at the Nika Awards, bestowed by the Russian Academy of Cinema Arts and Sciences (the organisation would again favour Kott eight years later with Director and Film nominations for 2010 combat epic, Fortress of War). 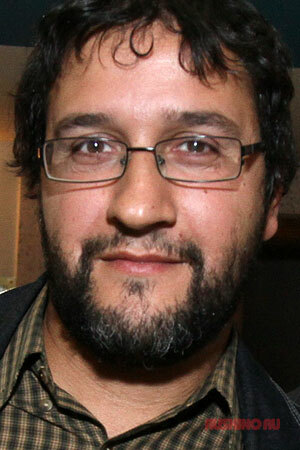 The director has since established a career at the forefront of independent Russian cinema lasting nearly two decades. He is an international film festival favourite; in 2000, his short film Scarecrow won at Aspen, Berlin and Hamburg and Molodist events. His 2003 short Giant was a finalist for Best Film at the European Film Awards and Greece’s Drama International Short Film festival. His features exhibit a broad knowledge of many film genres – personal drama (Kniazhna Mary, 2006); crime thriller (Podsadnoy, 2010);and, broad comedy (the popular Yolki sequels, 2011 and 2013). His latest, the APSA-nominated Test, is Aleksandr Kott’s most ambitious project yet and shows a filmmaker growing increasingly confident with his art and craft. Returning to his dialogue-free narrative roots, (“My format “, says Kott, “where I scramble at the first opportunity; my parallel world.”) the rural-set love-triangle drama is based upon a 10-page script in which only the actions of the character are detailed. He cites the wordless cinema of Jos Stelling (The Illusionist, 1983; The Pointsman, 1986) as an inspiration, as well as admiring more recent efforts such as Michel Hazanavicius’s The Artist (2011) and Myroslav Slaboshpytskiy’s deaf-person drama The Tribe (2014).